Predicting any Election Result is not unlike predicting the weather – 10 days out and we have greater confidence of understanding what may happen. But 70 or 80 days away, whilst we may know the general parameters of what the Big Picture will be, we are left with greater uncertainty. Israeli electoral politics is if anything predictably unstable. Only two – albeit hugely important – questions remain. And secondly, what are the chances that the new Prime Minister will be anybody other than Bibi Netanyahu? We differ from the traditional Israeli media tendency to lump all parties into either “Right-Wing-Religious” or “Centre-Left-Arab” Blocks. On these numbers the re-election of a Rightwing Government is all but certain. As the Palestinian dominated ‘Joint List’ will not be part of any broad Centre Left-Centre Right government the only realistic government s a Right Wing that ‘picks off’ a Centre Right party to give provide its majority (Just 61 is needed). There is of course one huge caveat. The indictment of Bibi Netanyahu. The re-election of the outgoing government is unlikely if the Attorney General choses to indict Netanyahu as Moshe Kahlon leader of Kulanu has already stated his party would not join a Government (under) Netanyahu under those circumstances. Our percentage chances are informed by the Opinion Polls and a two to one likelihood chance that a decision WILL be made to indict Netanyahu. A Government of the Hard Right – Yeah it can get worse folks! 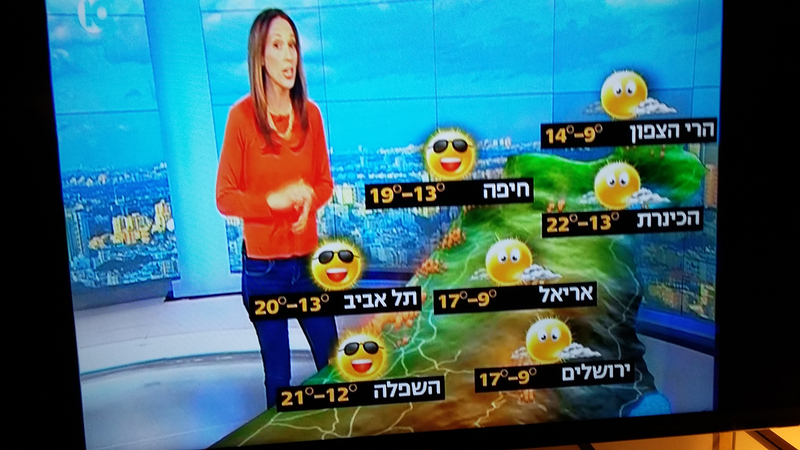 Bibi is indicted but both Likud and he weather the political storm. The Right Wing manages to claw back a few seats as Habait Hayudi crosses electoral threshold. Despite a refusal of Moshe Kahlon to support Netanyahu, the outgoing Government is re-elected (without Kulanu). Israeli Beitanu rejoin. If as is likely a decision is made to indict Bibi, and if the polls shift even by 4 seats against Likud in response to the indictment (as has been predicted) and if all Centre Right leaders hold fast to their stated position NOT to support Bibi in the event of indictment than an alternative Centre Right Government suddenly appears a possibility. A lot of “If’s’. A lot of “ifs” may give comfort to Netanyahu. But worryingly for Netanyahu all those “ifs” are more likely than not. In this scenario a Centre Right Government under (Yair Lapid or Benny Gantz) would try pick off a Right-Wing party to join their anyone but Bibi government. The most likely candidate is Israel Beitanu (who bolted from the Government last November). Bibi is not indicted (unlikely) and therefore he has multiple parties to choose from to form his 5th Government. In the interests of stability, a broad Government of the Right and Centre Right is established. Bibi is indicted but not only does both Likud and he weather the political storm, Moshe Kahlon comes under pressure to avoid a centre left government and agrees (despite his promise that he would not) to support Netanyahu despite indictment. This is in effect the re-election of the previous government. Israel Beitanu rejoin. Bibi is not indicted (unlikely) and choses a Hard-Right Government over a Centre-Right coalition. Bibi is indicted and the numbers don’t add up to form a purely Right-Wing (or any) government. Likud unceremoniously dump Netanyahu. A broad Government of the Right and Centre Right is established with Gideon Saar as Prime Minister. Bibi indicted and the polls shift further leftward in the next couple of months. Kulanu or Gesher decide to support Gantz or Yair Lapid for PM. An unexpected alternative government on centre-left emerges. Joint List and Ta’al provide outside support to support a minority government to block rightwing government. Previous Musical Chairs – A Change of Opposition!